The world is a wide, wonderful place full of incredible sights that will take your breath away. From natural wonders to man-made marvels to odd anomalies, there are locations around the globe that demand your attention so much that you can't simply see them and walk away. They mesmerize you, making you stop and stare to take them in. Some of them hold secrets even scientists aren't able to crack. These destinations might feel like they're from outer space, from the imaginary world of a fairy tale or something created by experts using CGI or Photoshop. Seeing these special, spectacular sights in person will make for a truly memorable trip. Their images make for amazing photographs and will stick in your mind long after you've returned back to your regular life. If you're looking to experience something unique that you've never seen before, here are 50 travel destinations to visit on your next vacation. You can experience James Cameron's Na'vi planet of Pandora from "Avatar" in real life by visiting the amazing formations that inspired it. 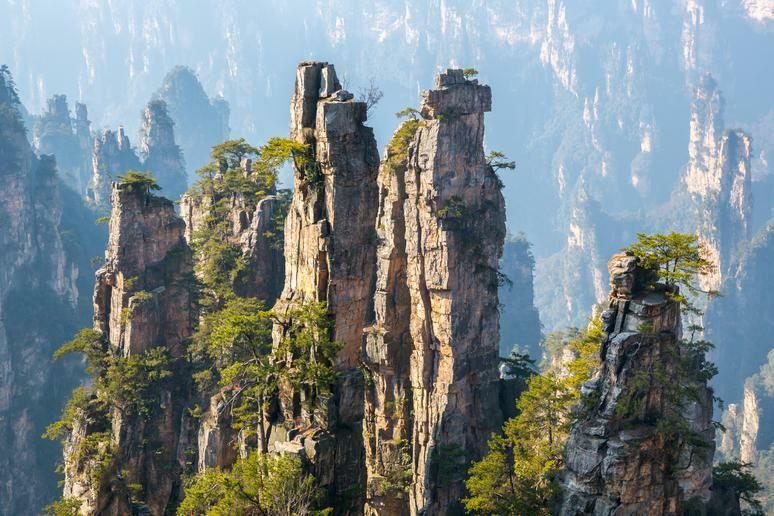 Thousands of stone pillars, some towering more than 2,000 feet, are the extraordinary signature feature of China's Zhangjiajie National Park. Visitors can experience the pillars from above by taking the world's tallest outdoor elevator or crossing the world's highest and longest glass-bottomed bridge. It's not sunlight or electric lights illuminating the Waitomo caves on the North Island of New Zealand, but rather a population of unique glowworms called Arachnocampa luminosa. Roughly the size of mosquitos when fully grown, these gnats are bioluminescent. 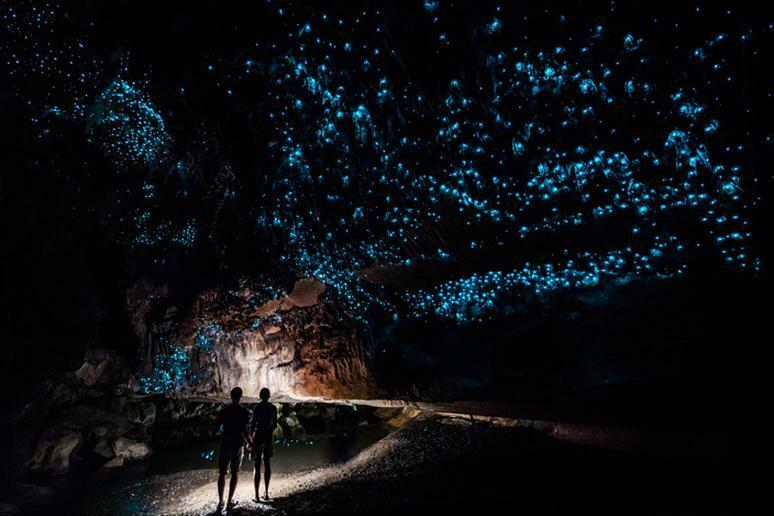 Thousands of them live along the cave ceiling, creating the illusion of an overhead sky full of stars. 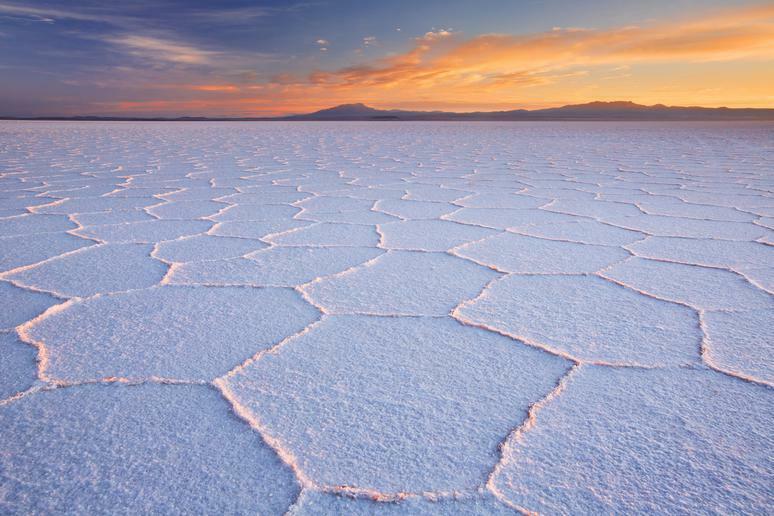 Salar de Uyuni in Bolivia is the world's largest salt flat, stretching more than 4,000 square miles. It is devoid of wildlife or vegetation and is known for its extreme flatness and clear skies. This creates a dreamy, mirror-like reflective surface in the wet season and a fascinating pattern of polygonal cracks in the dry season. The Galapagos Islands are a uniquely preserved habitat with a diverse array of animals that can’t be seen anywhere else in the world. The remote volcanic islands, which are part of Ecuador, are located over 500 miles west of the mainland in the Pacific Ocean. They are part of a national park considered by UNESCO to be a “living museum and showcase of evolution.” Visitors can experience the island’s stunning biodiversity up close by snorkeling, scuba diving and hiking around the islands. 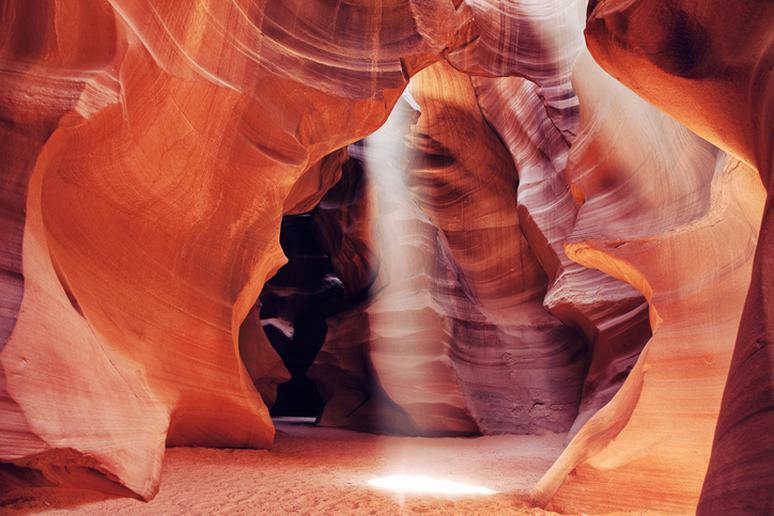 Located on Navajo land in Arizona, Antelope Canyon is a stunning, picturesque slot canyon with colorful, wavy walls illuminated by streaming beams of light. The canyon has "upper" and "lower" portions, each with unique natural lighting and formations created by millions of years of erosion. 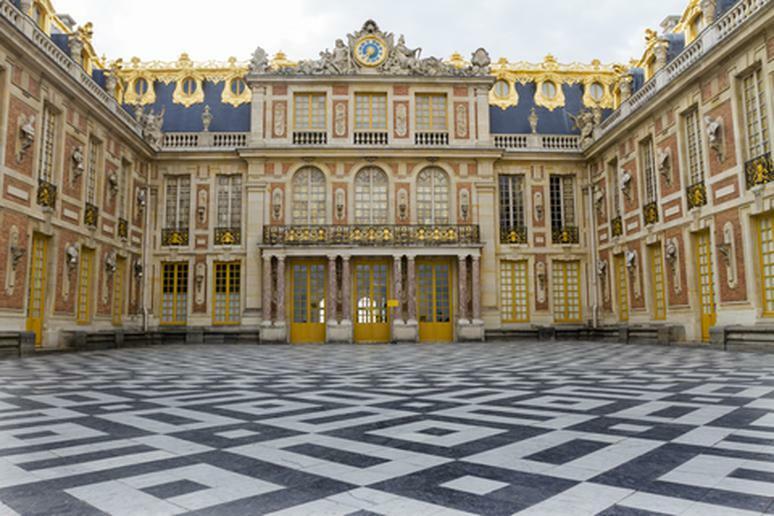 One of the most famous and opulent palaces in the world is the Palace of Versailles outside of Paris. The residence of French royalty for more than 100 years until the French Revolution in 1789, the sprawling palace has 700 rooms, 1,250 fireplaces and 67 staircases. Its cost is debated by historians, but low-end estimates put its price tag at about $2 billion. The stunning chateau includes royal apartments, a museum, manicured gardens, an opera, a chapel and the famous hall of mirrors. For history and archaeology buffs, visiting this world-famous prehistoric stone monument on Salisbury Plain is a surreal experience. 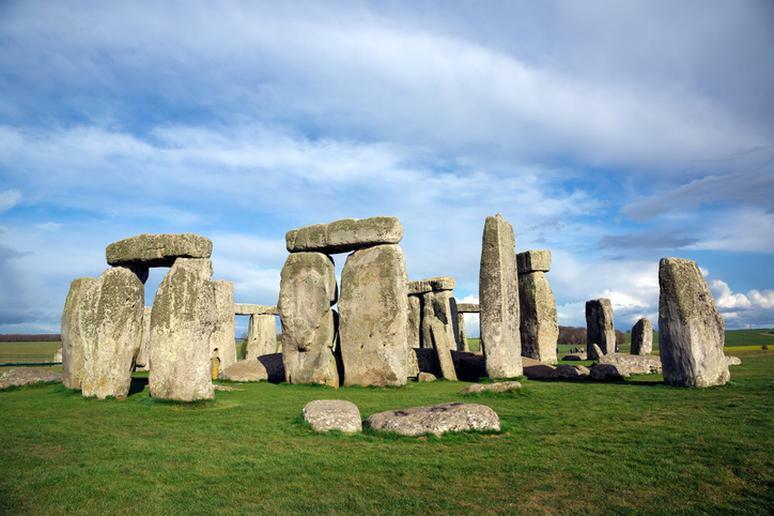 Visit around sunrise or sunset for a truly otherworldly feeling, and make sure to take a guided tour of Stonehenge to learn about the site's scientific and mystical history. 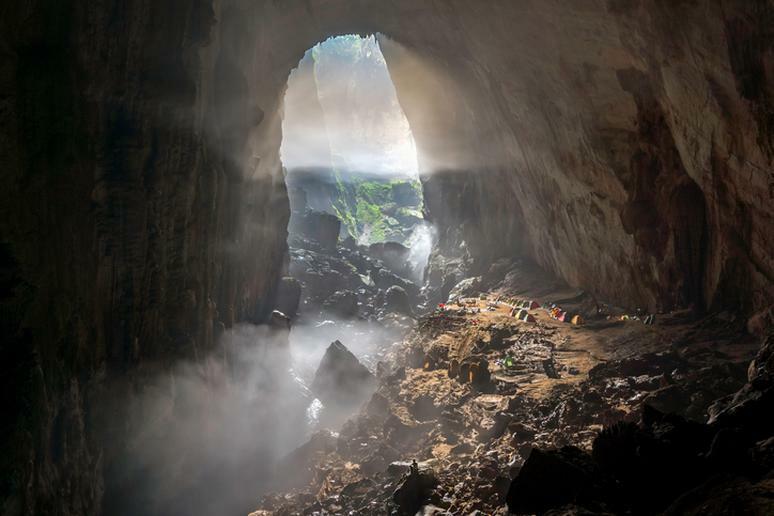 The world’s largest cave, Son Doong Cave in Vietnam's Phong Nha Ke Bang National Park, wasn’t discovered until 1990 and didn’t open to the public until 2013. It’s a must-visit for adventure travelers who want the chance to marvel at Mother Nature’s creation. More people have stood at the summit of Mt. Everest than have experienced this amazing natural wonder. It is so large it has its own weather system (including clouds) inside, and a 747 airplane could easily fly through it. 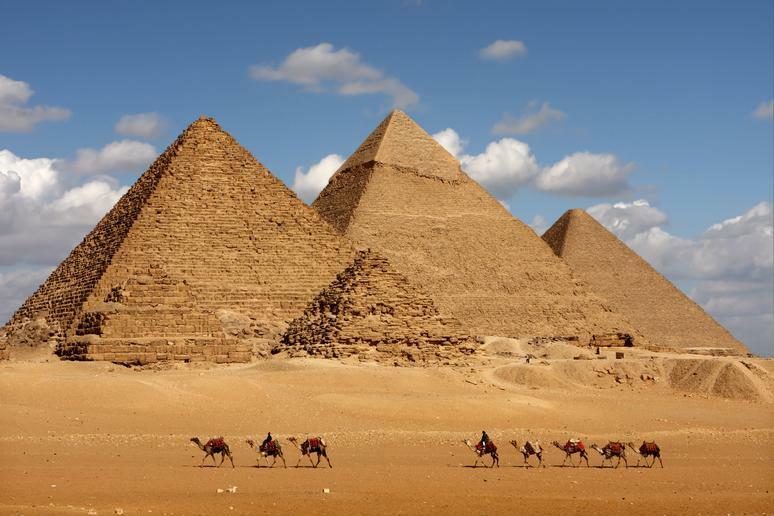 The only one of the seven wonders of the ancient world that’s still intact is the Great Pyramid of Giza, Egypt's largest and most technically exceptional feat of engineering. The Great Pyramid is composed of more than 2 million blocks of stone, some of which are so large and heavy that scholars still debate how exactly the ancient Egyptians were able to build the structure by hand. 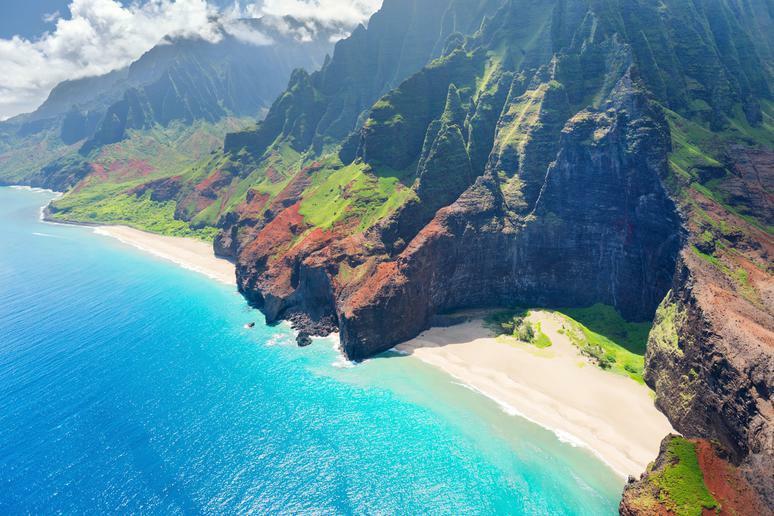 The 17-mile stretch known as the Na Pali Coast on the island of Kauai is a national park with breathtaking natural beauty. The 11-mile Kalalau foot trail has been rated a 9 out of 10 in degree of difficulty by the Sierra Club, but the reward is unparalleled views of isolated waterfalls, beaches and lush river valleys. 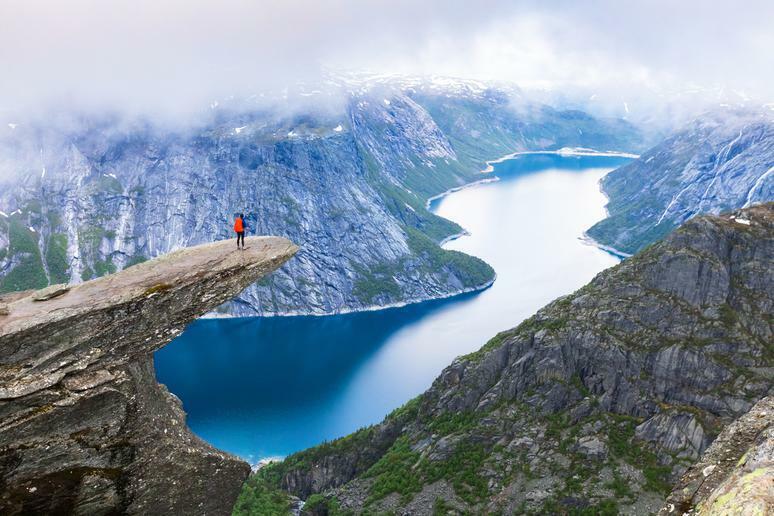 Some describe it as one of the best hikes in the world. The waters around Vaadhoo Island, part of the Maldives in the Indian Ocean, are home to a magical natural show nicknamed the "Sea of Stars." 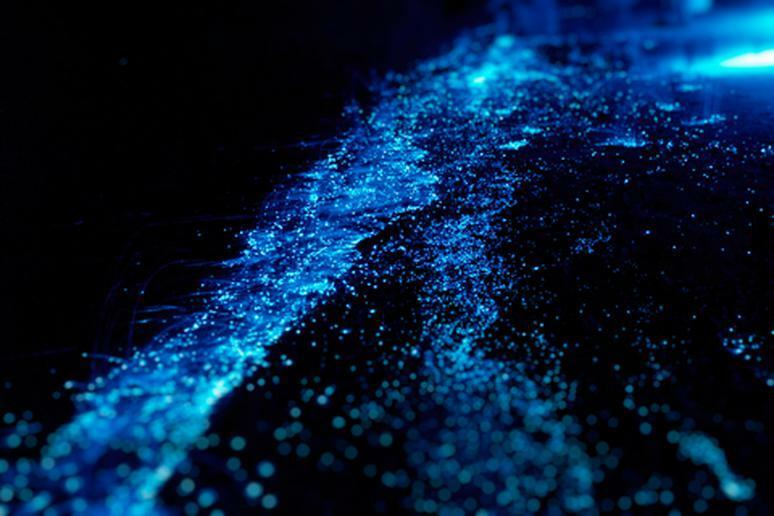 When disturbed, microorganisms called dinoflagellates emit a bluish glow, much like aquatic fireflies. They congregate in the billions near the islands of the Maldives, where the right conditions create a phenomena that rivals the splendor of the night sky overhead. An architectural marvel and the longest wall in the world, the Great Wall of China is an awe-inspiring sight that should be on every traveler's bucket list. 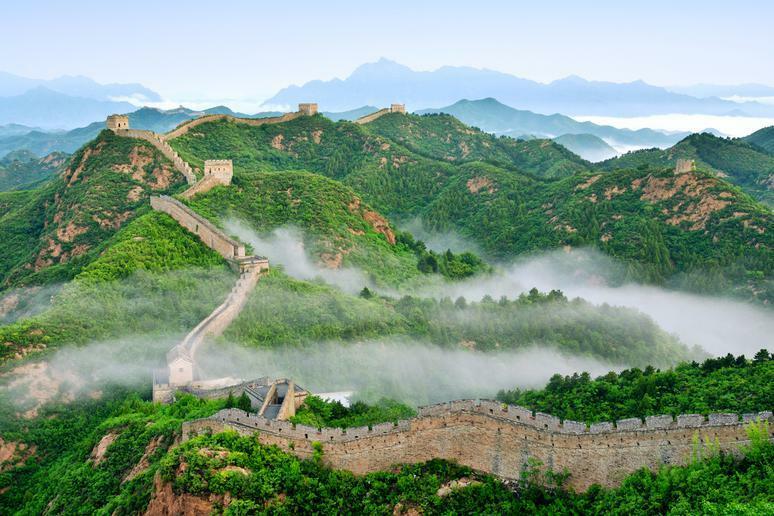 The wall is more than 2,000 years old, and you can spend hours exploring each section and taking in its views. 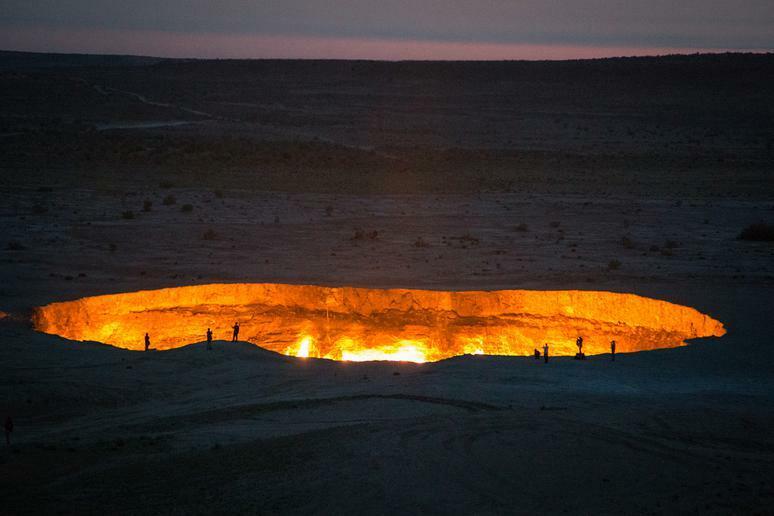 Known as "the Door to Hell," Darvaza gas crater in Turkmenistan looks like something out of a movie. While engineers were drilling for oil at the site, a natural gas pocket collapsed creating a sinkhole. To stop the spread of methane gas, Soviet scientists opted to set it on fire, perhaps unaware of how much fuel it contained. The crater has been burning since 1971, close to 50 years. Explorer George Kourounis, the first person to go inside the surreal crater, described it as a "coliseum of fire." At night, the crater can be seen from miles away. 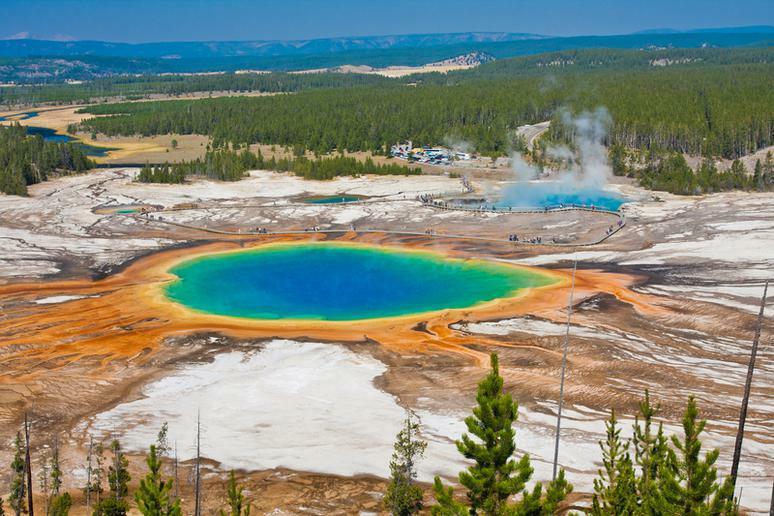 Located in Yellowstone's Midway Geyser Basin, Grand Prismatic Spring is America's largest hot spring and the third-largest in the world. Besides its size, it reflects the entire rainbow spectrum just like a prism. It’s blue center spreads into a red ring around the edge. The color shift is due to microorganisms in the water, which aren’t present in the center due to its extreme heat. The spring changes color throughout the year as the water temperature changes. A portion of dirt road in Madagascar is one of the island nation's most famous landmarks. Known as the Avenue or Alley of the Baobabs, the stretch of road is lined with giant, ancient baobab trees that are more than 800 years old with trunks that are more than 150 feet in circumference. These fantastical, umbrella-like trees are icons of Africa because of their distinct canopies that look more like roots. 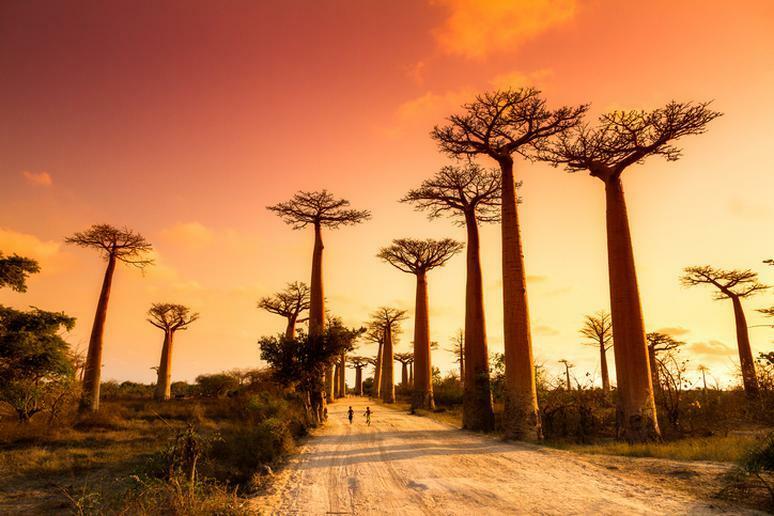 Madagascar is famous for its diverse, amazing flora and fauna, and these baobabs are among the country's most striking sights. 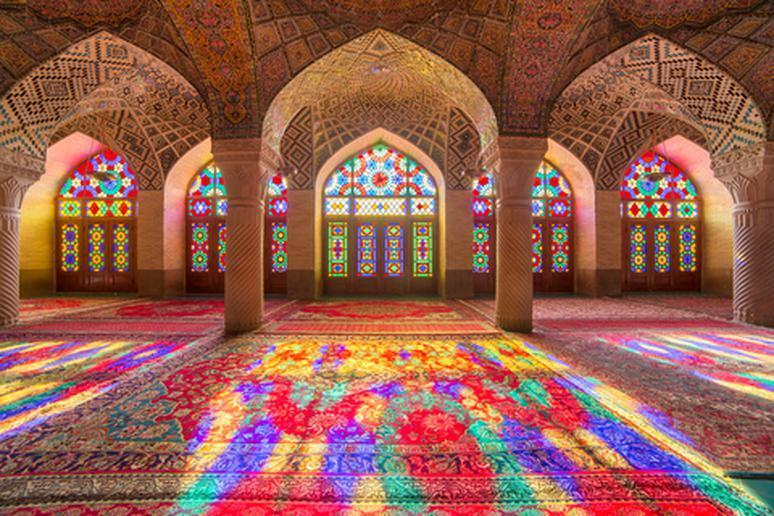 Nasir Al-Mulk in Shiraz, Iran, also known as the Pink Mosque, is considered one of the most beautiful mosques in the world because of its kaleidoscopic rainbow stained glass windows, intricate Persian rugs and delicate painted ceiling tiles. You could spend hours appreciating the elaborate detail and vibrant colors that make it look like a illustration from "1,001 Nights" come to life. 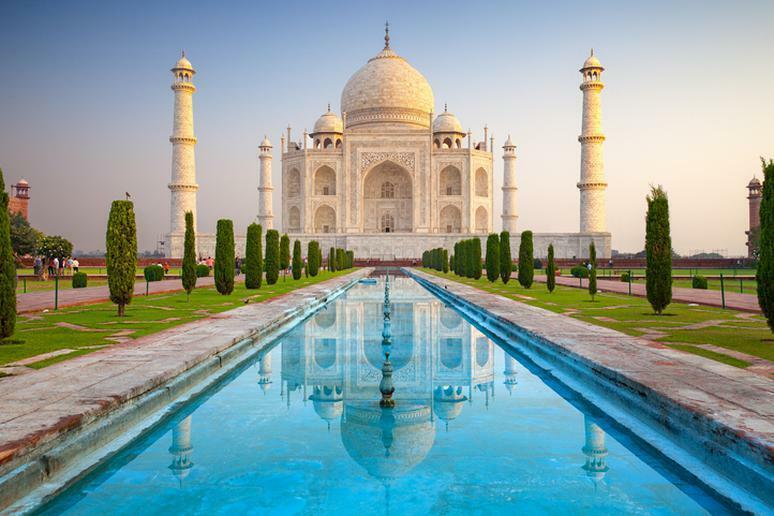 The Taj Mahal is a world-famous landmark that should be on every bucket list. The embellished white marble building is a tomb that emperor Shah Jahan commissioned for his wife in 1632. The mausoleum complex is considered a masterpiece of Mughal architecture and is a UNESCO World Heritage site. Despite the crowds of tourists that flock there every day, taking in the building’s story while basking in its radiance is a spiritual experience that can’t be missed. 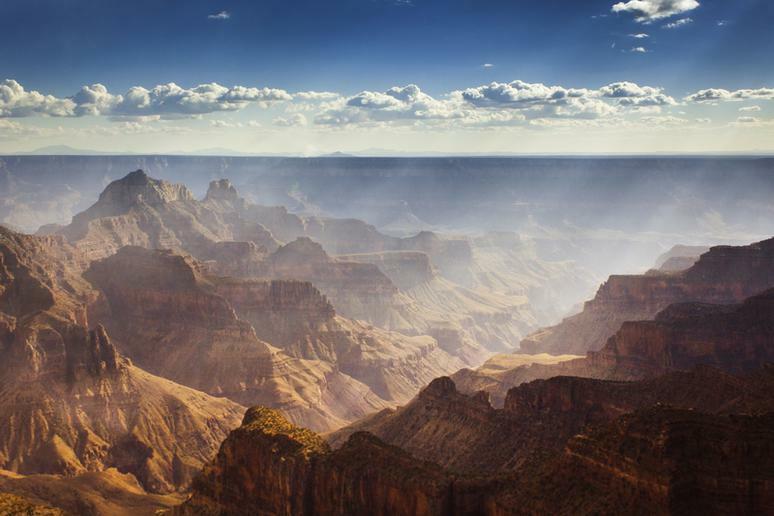 The Grand Canyon is considered one of the seven wonders of the natural world and is one of the deepest canyons in the world, offering unrivaled views. Intrepid explorers can also traverse the canyon by hiking or whitewater rafting or tackle the dangerous Bright Angel Trail by mule. You can also simply marvel at the majesty of the canyon from along the rim. The Desert View Watchtower offers 360-degree views for visitors. 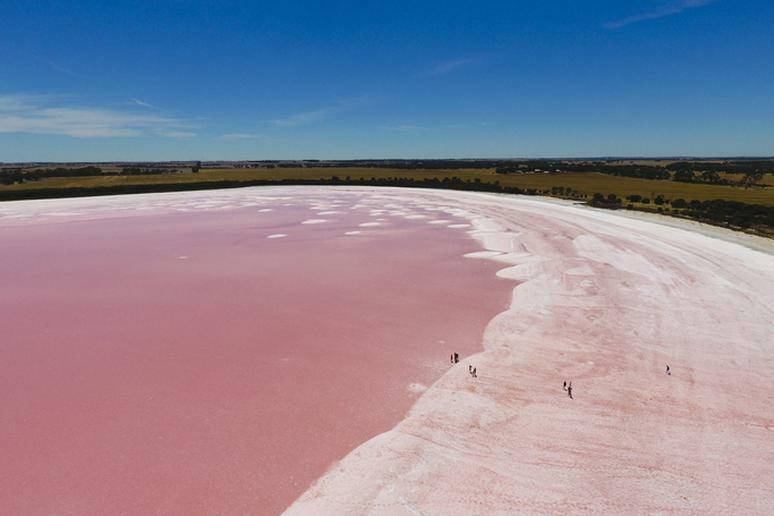 One of the most unique bodies of water in the world is Western Australia's Lake Hillier , which is strangely pink in color. The remote lake, which is right next to the bright blue Pacific Ocean, is colored by the microorganisms that live it in, and despite the striking color, its safe for humans to swim in. 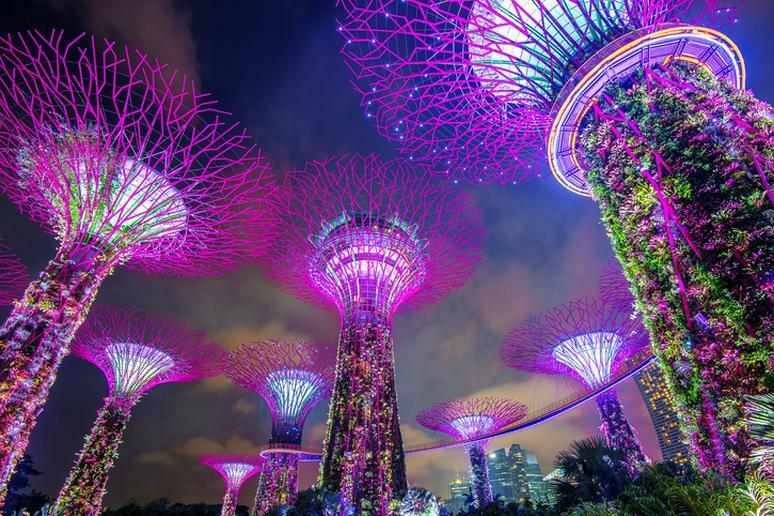 Singapore's otherworldly Gardens by the Bay might be the most unique botanic gardens in the world. The gardens have three unique areas, hundreds of thousands of different plants from every continent, and the world's tallest man-made waterfall. The Supertree Grove is made of solar-powered mechanical giants, with the largest standing more than 160 feet tall. The grove provides shelter and temperature regulation during the day and puts on a light show every night. The gardens have skywalks between some of the trees, giving you a dizzying view of the greenery below. 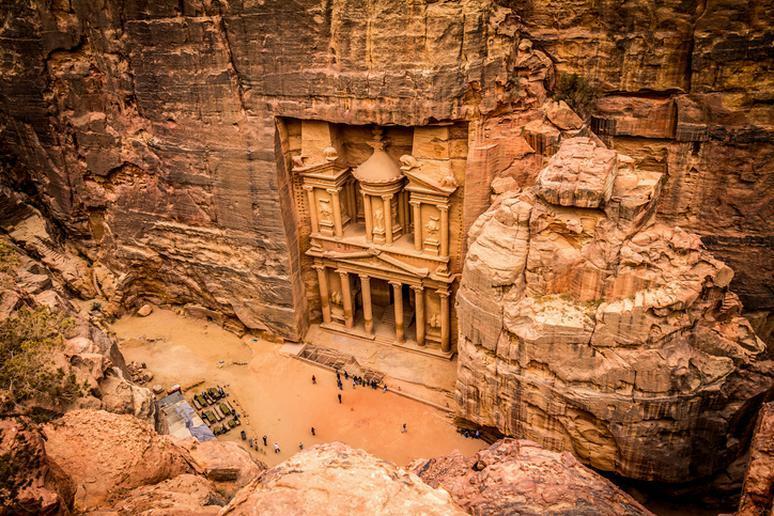 Known as the "Rose City," Petra is an amazing archaeological city carved from pink sandstone roughly 2,000 years ago. The World Heritage Site is comprised of a series of caves, temples, tombs and the iconic elaborate ruins of the Treasury, all created by a nomadic desert people, who were later conquered by the Roman empire. The city was abandoned but its ruins were rediscovered in 1812. 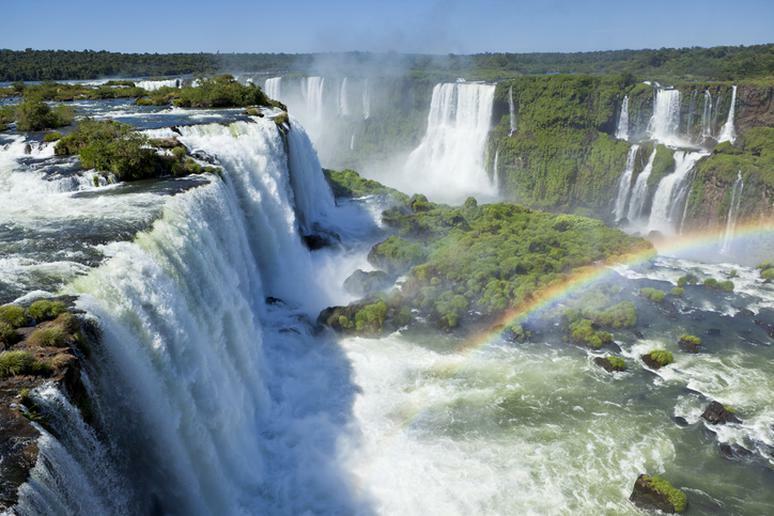 A string of 275 waterfalls stretches for almost 2 miles along the border between Argentina and Brazil formed by the Iguazu River. The system's tallest waterfall stands twice as high as Niagara Falls. The falls are also surrounded by a verdant rainforest teeming with wildlife. You can hike close to the falls or ride on a speedboat that will take you right underneath. California’s Redwood National and State Parks cover 139,000 acres that are home to the tallest trees on Earth. 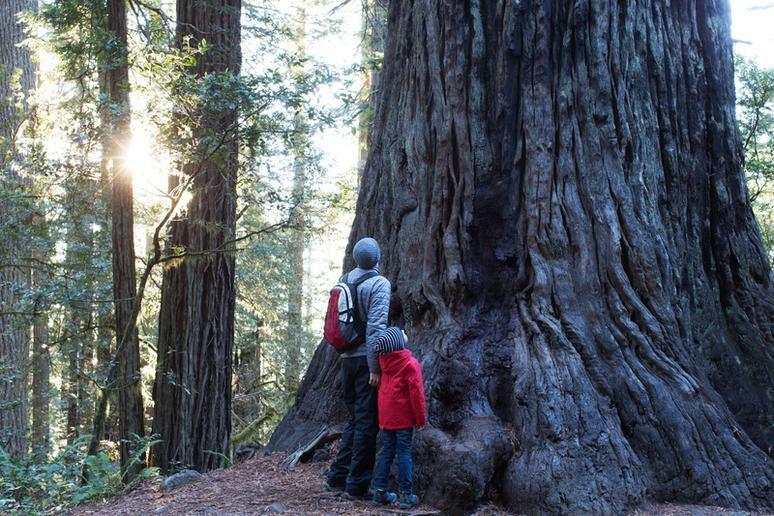 The parks protect the remaining 4 percent of the state’s original old-growth coast redwoods, the tallest of which stands at a staggering 379 feet tall. Other sights include a rare albino redwood and three drive-through trees. Machu Picchu was abandoned after the Spanish conquest of the Inca Empire, but the complex has fascinated the world since its rediscovery in 1911. Its an impressive man-made creation that was constructed in the 15th century. The series of terraces are connected by more than 3,000 stone steps. 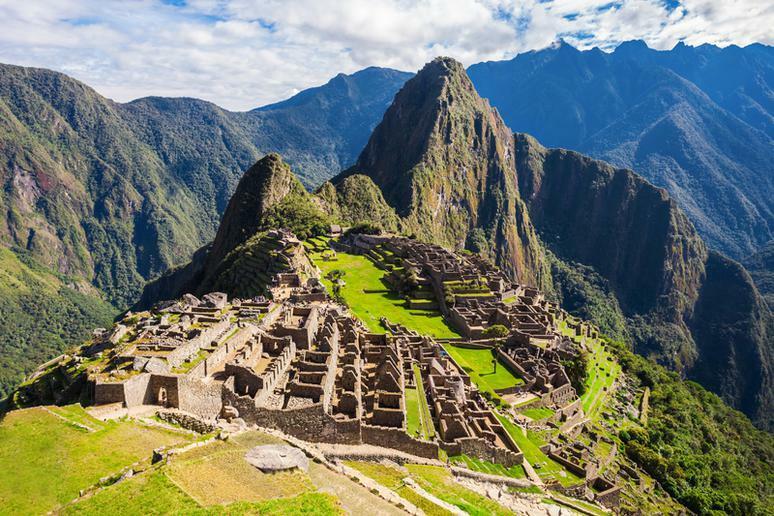 If climbing those steps seems undaunting, more athletic thrillseekers can reach Machu Picchu by hiking the iconic Inca Trail, a 26-mile, four-day, high-altitude journey. 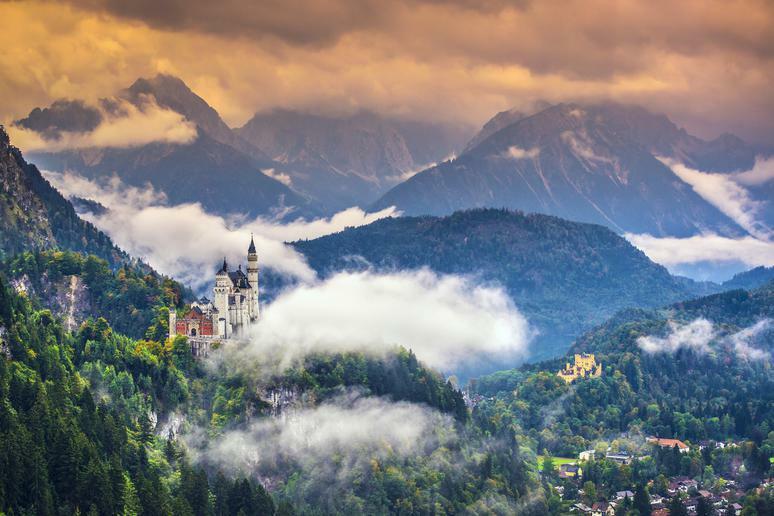 One of the most striking European castles is Germany's Neuschwanstein Castle, which was built as a retreat for Ludwig II of Bavaria. The cliffside castle's white limestone façade and deep blue turrets were the direct inspiration for Disneyland's iconic "Sleeping Beauty" castle. This design went on to become part of Disney's title card and logo. Japan's Kawachi Fuji Gardens are famous for their breathtaking blooms. 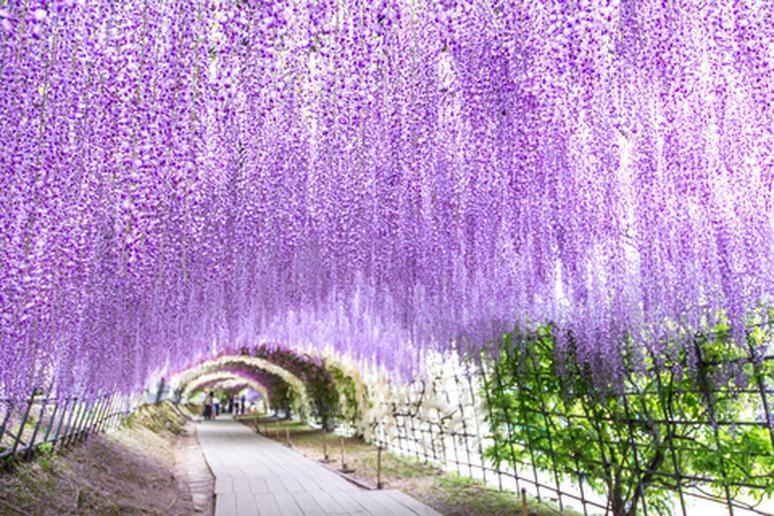 Each spring, their Wisteria Tunnel is draped in purple, pink, blue and white blossoms from more than 150 wisteria plants. The gardens also become drenched in color during the maple leaf season in autumn. 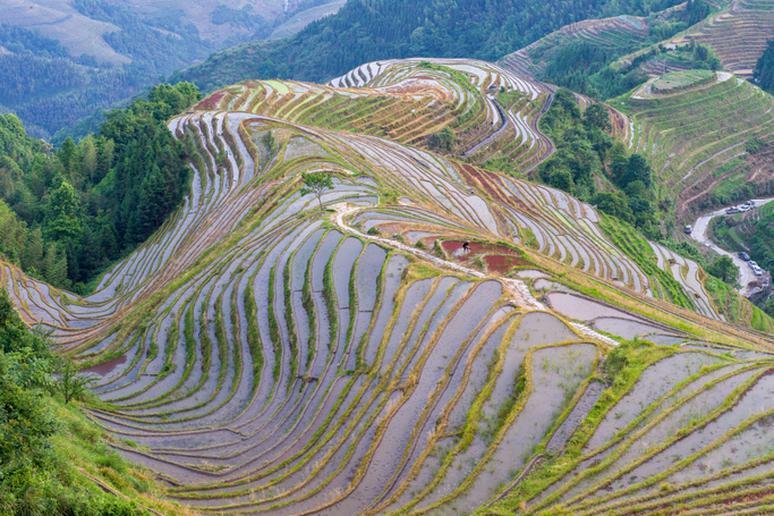 The Dragon’s Backbone is composed of stacked ribbons of rice paddies that look like the ridges of a mythical creature. Also called the Longsheng or Longji Rice Terraces, the captivating layers change colors with the seasons: green in the summer, gold in the fall, white with snow in the winter, and blue with pools of irrigation water in the spring. The terraces span three villages, each which its own unique ethnic minority culture worth exploring. 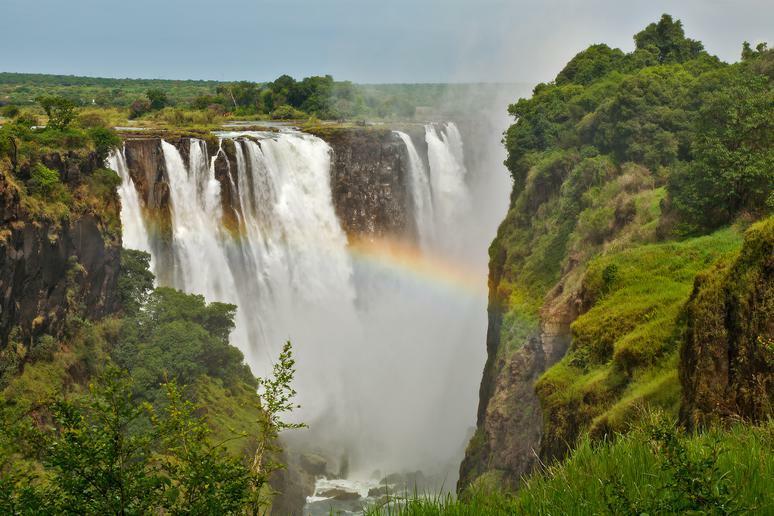 Forming part of the border between Zambia and Zimbabwe, Victoria Falls creates the world's largest sheet of falling water as well as a mystical mist that can be seen more than 12 miles away. During the dry season when the flow is at its weakest, brave swimmers can wade in the Devil's Pool, which has an underwater lip that allows them to approach the edge of the falls. 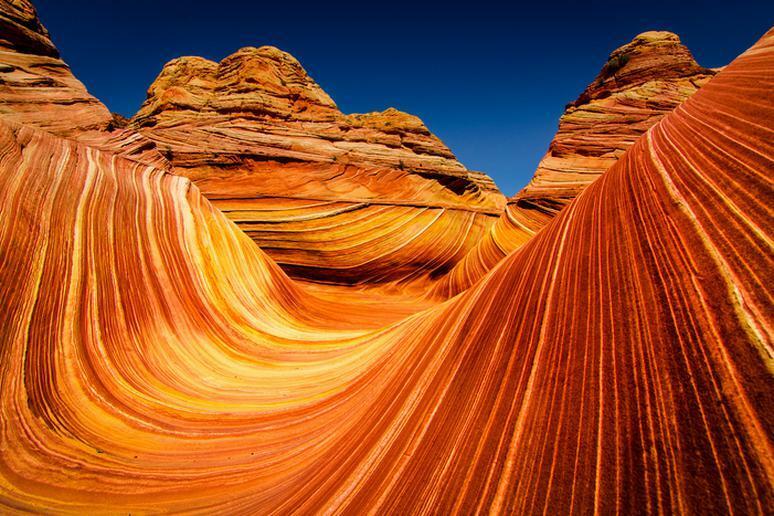 You can see millions of years of Mother Nature's handiwork at a sandstone formation in the Coyote Buttes of Arizona near the Utah border known as The Wave. Eroded by rainwater and wind, the rocks reveal history back to the Jurassic age. To protect the more fragile parts of the structure, hikers need a permit to access The Wave. Only 20 are given out for each day, and thousands of people apply every year. This technicolor mountain range might seem like the stuff of Dr. Seuss, but the pastel-hued layers are quite real. 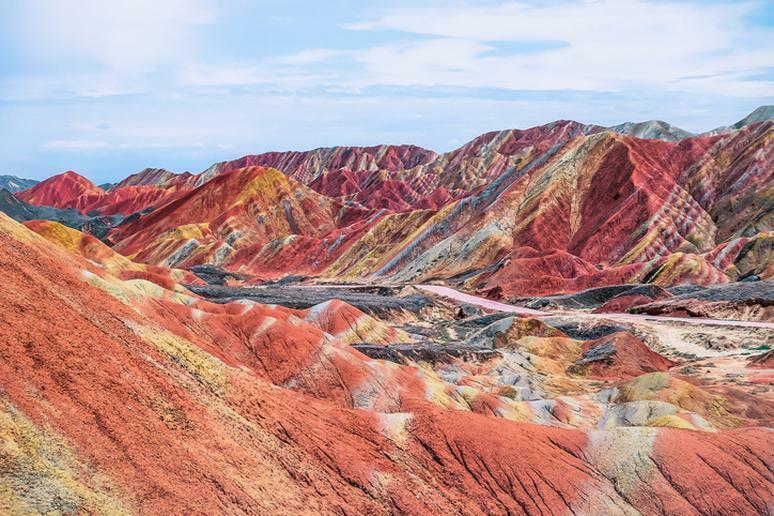 Located in the Gansu province of China in the Zhangye Danxia Landform Geological Park, these rainbow mountains were formed before the Himalayas and mineral deposits and oxidation colored the exposed sandstone layers different shades of yellow, blue, green, purple, red and gray. Paro Taktsang, also known as "The Tiger's Nest" monastery, is a cliffside Buddhist temple complex that hangs almost 3,000 feet above the valley below. 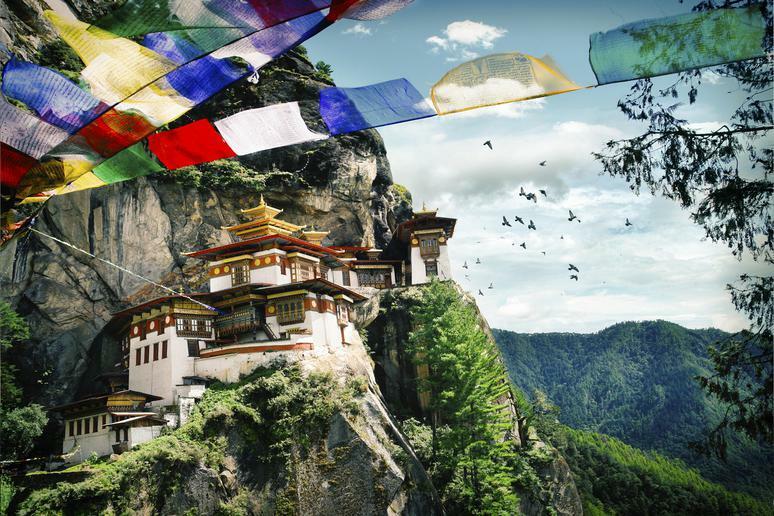 Undertaking the strenuous, high-altitude climb to the Tiger's Nest rewards visitors with an unreal view and tours of the various shrines and a sacred stone cave. 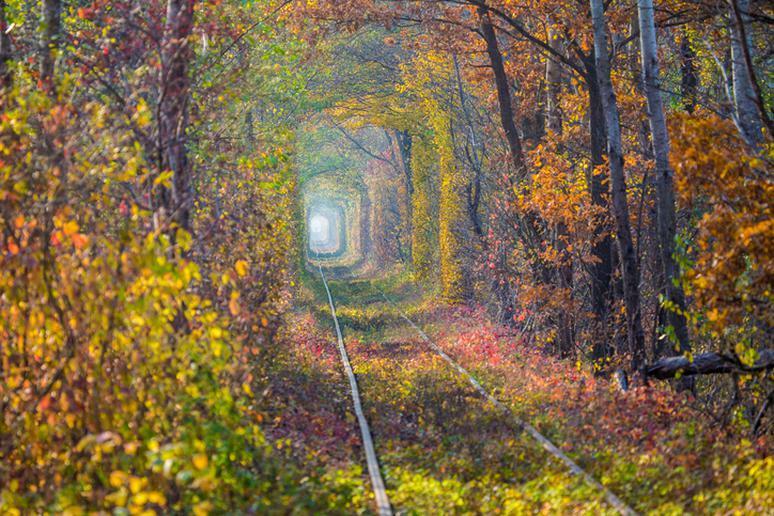 The Tunnel of Love is a 2-mile section of railway in Ukraine that is surrounded by an enchanting natural tunnel perfect for strolling lovebirds — when its not still being used to transport wood to a nearby factory. The lush walkway is dreamy in all four seasons and looks like it's straight from a storybook. Local lore goes that couples with sincere hearts who walk through the tunnel will have their wish come true. The Turkish region of Cappadocia is famous for its tall, conical rock formations nicknamed “fairy chimneys.” One way to take in this fantastical geological phenomenon is a sunrise hot air balloon ride. The area is an excellent place to hike among valleys, caves, rock-cut churches and underground cities with amazing history. 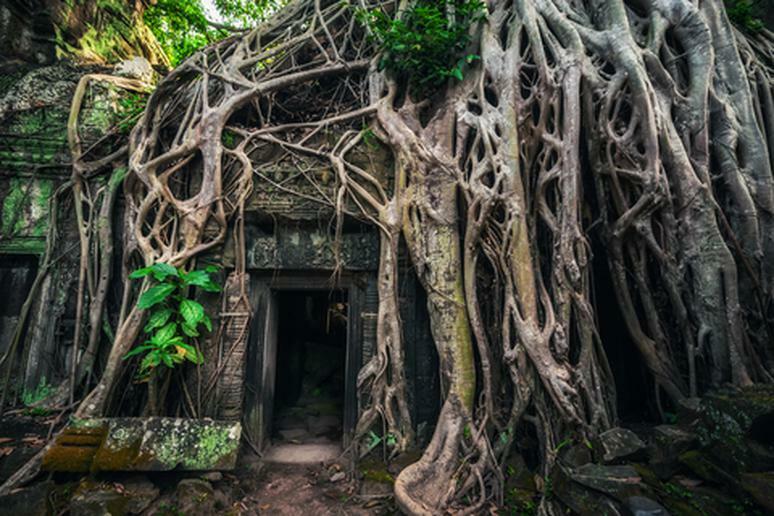 Ta Prohm looks like it jumped off the pages of an epic adventure book. If fact, it was used as a filming location for the movie "Lara Croft: Tomb Raider." Abandoned for hundreds of years after the fall of the Khmer Empire, the 12th-century temple ruins have become hypnotically intertwined with the surrounding Cambodian jungle in Siem Reap. Ta Prohm is part of the Angkor archaeological site that also contains the famous Angkor Wat temple, an overall jaw-dropping site to experience. Vatnajokull is the largest glacier in Europe and covers 8 percent of Iceland's landmass. 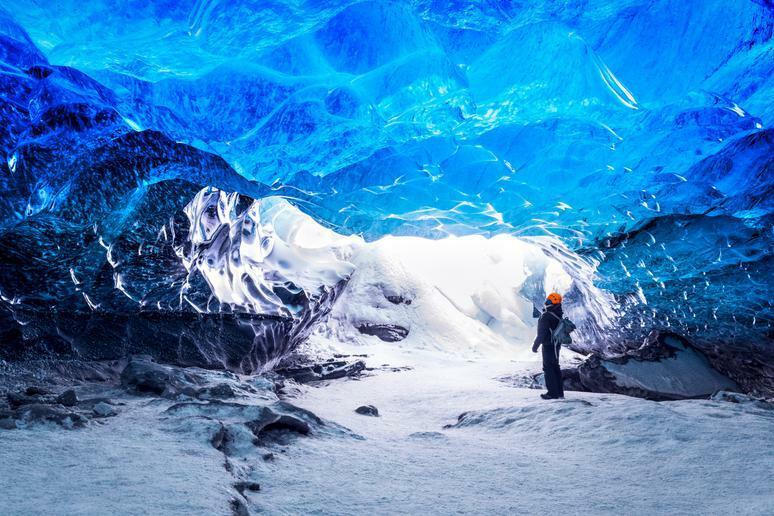 Its landscape is serene and otherworldly, and the glacier can also be explored via a series of ice caves that form during the winter when the glacier shrinks back as it freezes through. This leaves a series of tunnels through which hikers can see the breathtaking crystal blue ice illuminated by the sunlight outside. 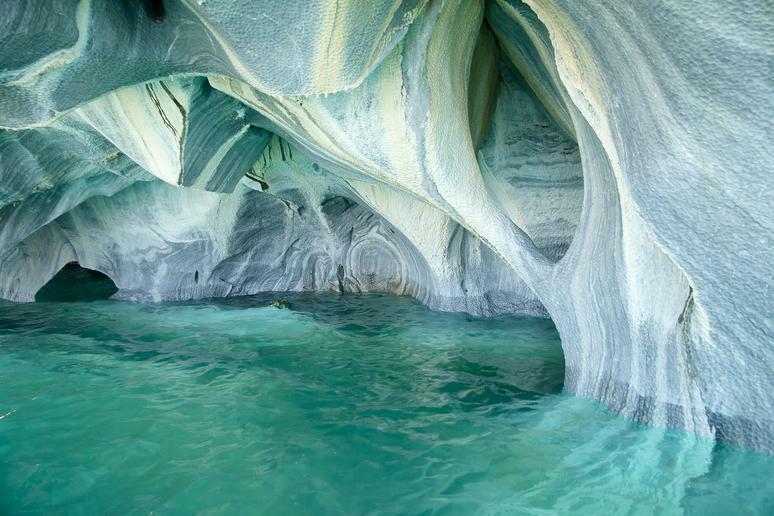 Chile’s Cavernas de Mármol, or "Marble Caves," are a set of caves in the Patagonia region carved from below by the General Carrera Lake for over 6,000 years. You can take a boat ride to experience, the sloping, sweeping beauty of the "Marble Cathedral" rising above and extending below beneath the clear, glacier-fed water. Myanmar, formerly known as Burma, has only been open to foreign tourists since 2012 after five decades of shutting them out. While it doesn’t have the infrastructure or attract millions of visitors like Thailand or Malaysia, Myanmar offers thousands of ancient temples and archaeological sites. 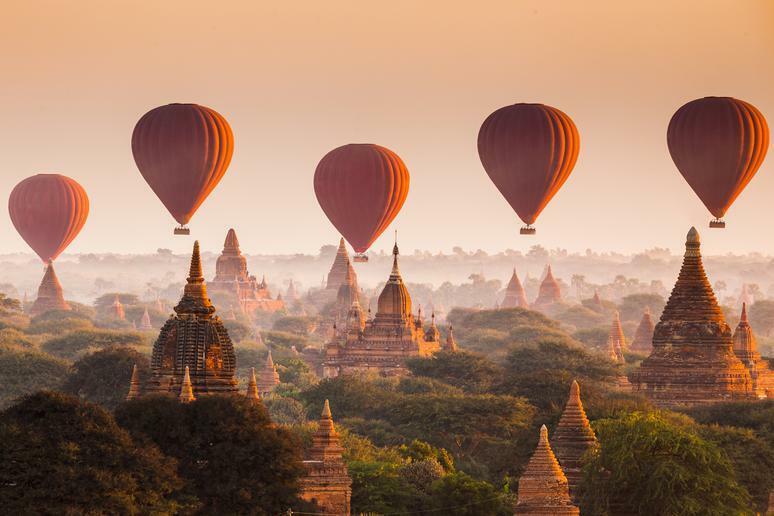 The ancient city of Bagan is home to more than 2,000 amazing Buddhist monuments rising above a 26-square-mile plain. It rivals the beauty of other world-famous archaeological sites like Angkor Wat and Machu Picchu but is unspoiled by crowds. 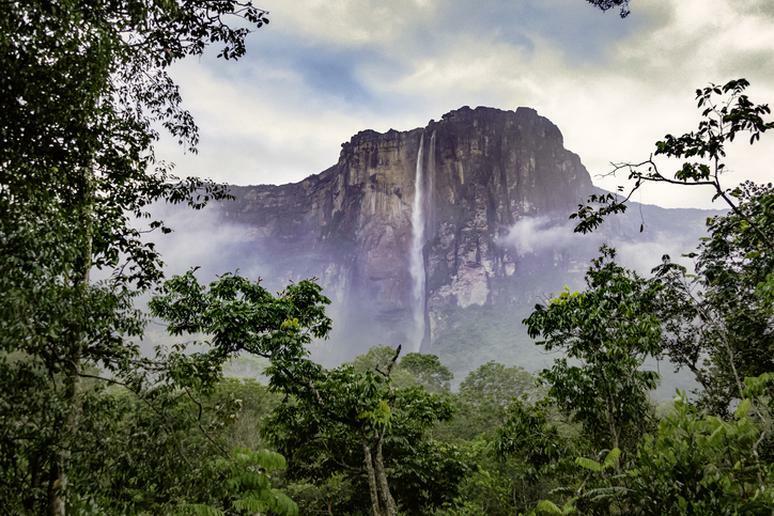 Angel Falls in Venezuela is the highest waterfall on Earth, standing a breathtaking 3,212 feet tall. The falls crash over the edge of a mountain and are surrounded by dense jungle below. This cinematic sight was the inspiration for Paradise Falls in the Disney/Pixar movie "Up!" 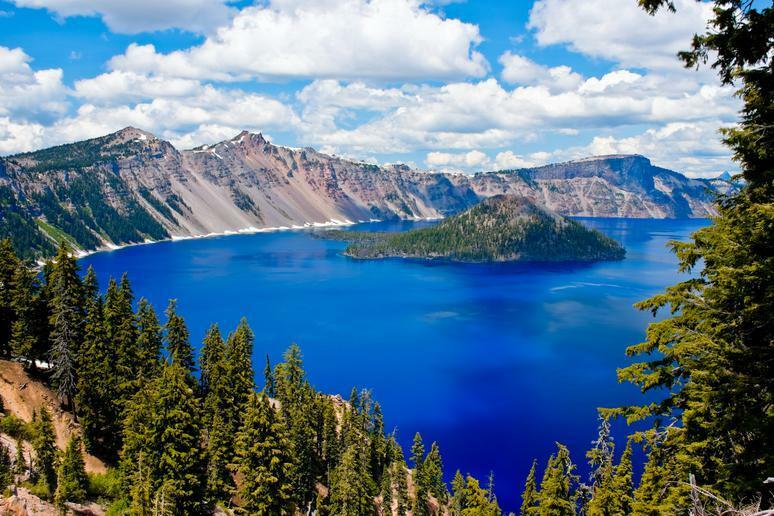 An underrated U.S. national park compared to Yellowstone or Yosemite, Crater Lake National Park in Oregon has the deepest lake in the country. Its depth, along with the fact that it's filled almost entirely by snowfall and not much else,makes it one of the clearest, bluest lakes anywhere in the world. 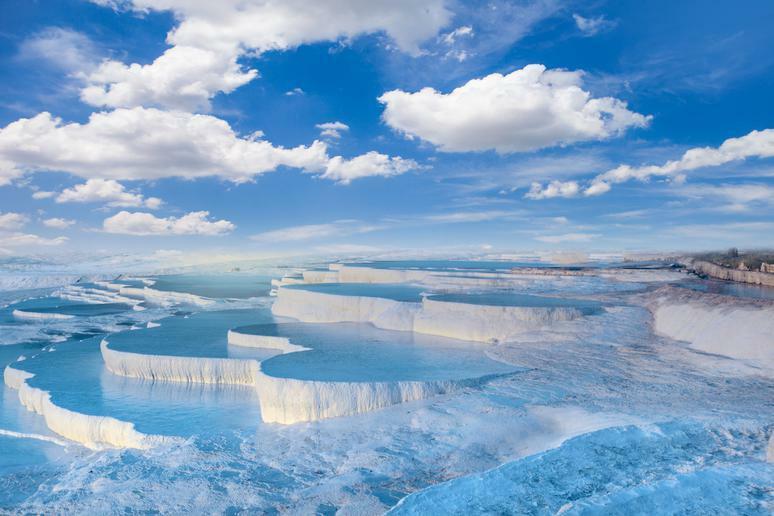 The glistening mineral pools of Pamukkale — which means "cotton castle" in Turkish — were created by hot-spring water flowing down the hillside and forming white travertine terraces filled with cascading blue pools. The terraces are surrounded by the ruins of the Roman spa city of Hierapolis, making visitors feel like they've traveled back in time while experiencing a rare natural wonder. 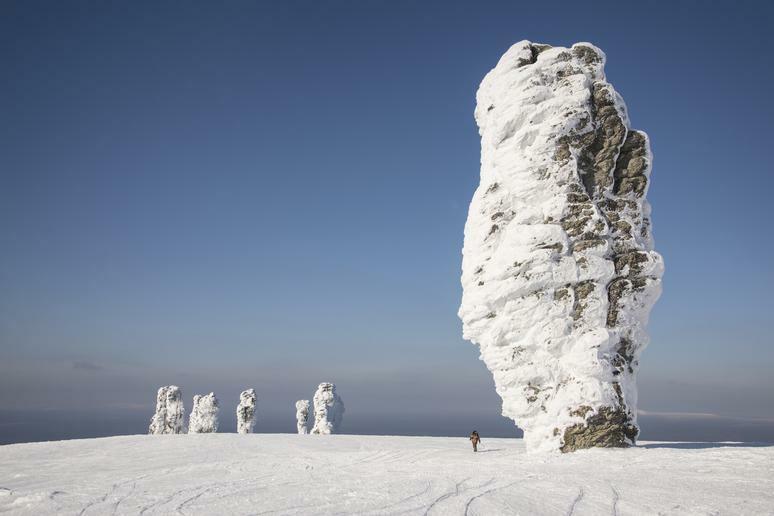 Also known as the Seven Giants or Seven Strong Men, the Manpupuner rock formations in the Ural mountains in Russia are considered one of the country's Seven Wonders. 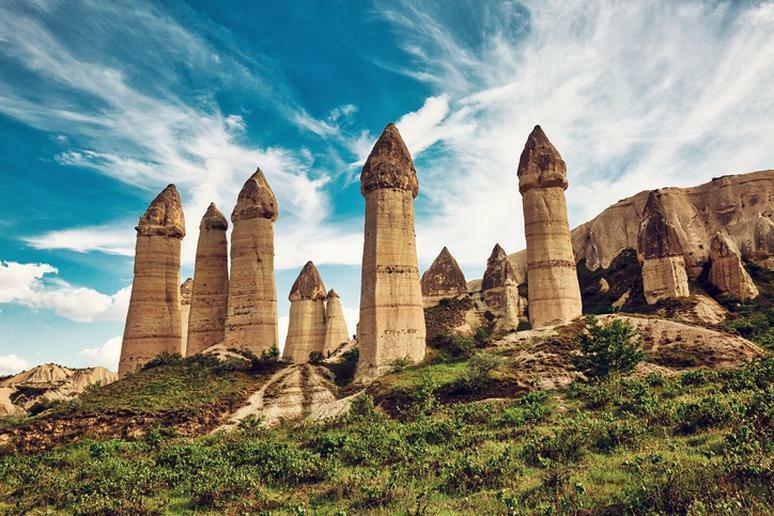 These mysterious natural towers will dwarf any human visitors, as the tallest stands more than 137 feet tall. These gigantic pillars were once part of a mountain that was eroded by time and harsh weather, leaving these seven stones behind. 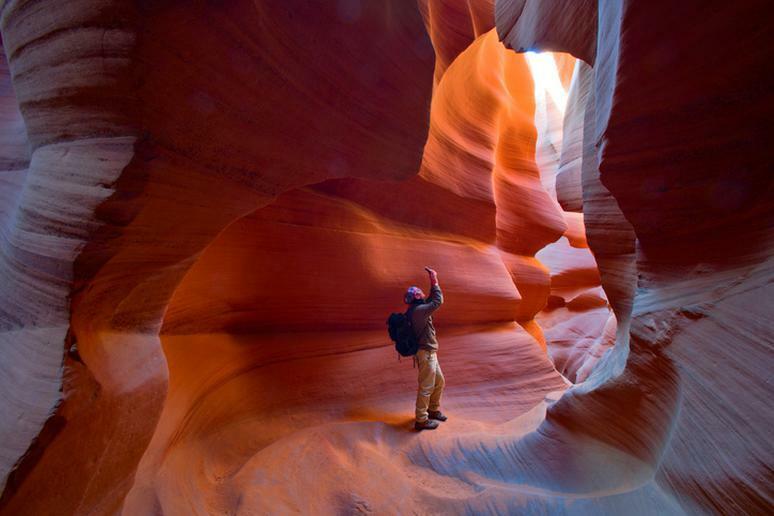 Once considered sacred, this unspoiled site is still awe-inspiring. 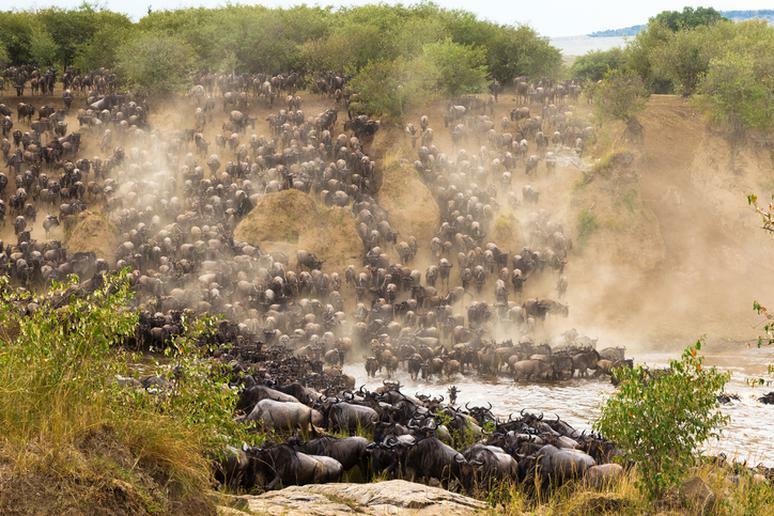 One of the most amazing places in the world to experience wildlife, Serengeti National Park is famous as a viewing site for the extraordinary annual Great Migration of herds of wildebeest and zebras. On top of that, Serengeti hosts the densest population of lions in the world and is home to all of the "Big Five" African animals. 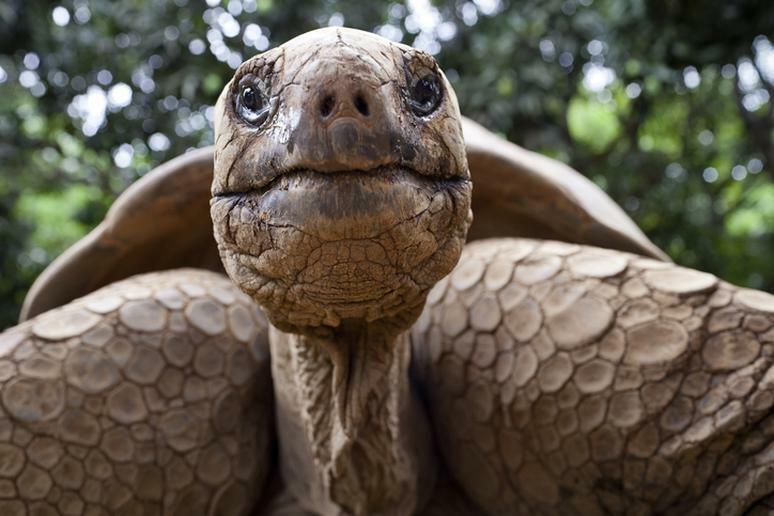 Seeing these animals up close and in the wild is an awe-inspiring experience. 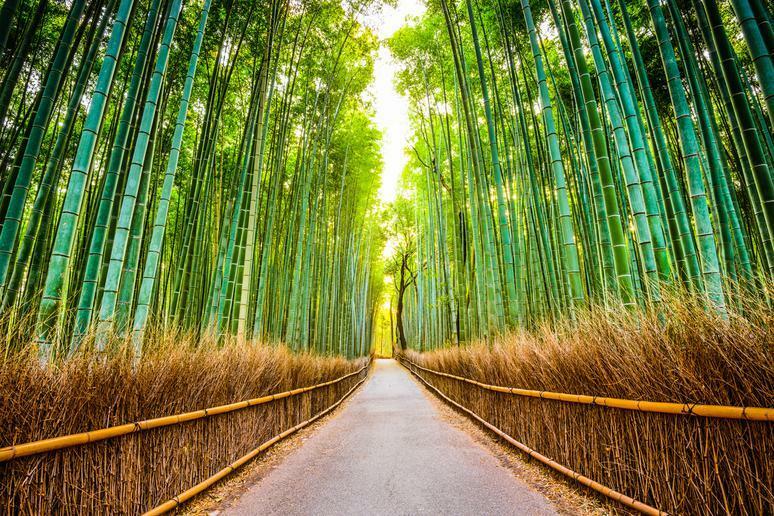 The towering Sagano Bamboo Forest in the Arashiyama district is one of the top sights in Kyoto, Japan. This tranquil grove's gentle creaking and rustling is recognized by the government as one of the country’s 100 top soundscapes. Enjoy the natural beauty by foot, bike or rickshaw while also exploring the Okochi-Sanso Villa and Tenryu-ji Temple on each end of the forest. Perhaps the most stunning spring blooms in the world can be seen at Keukenhof, the largest flower park in the world. 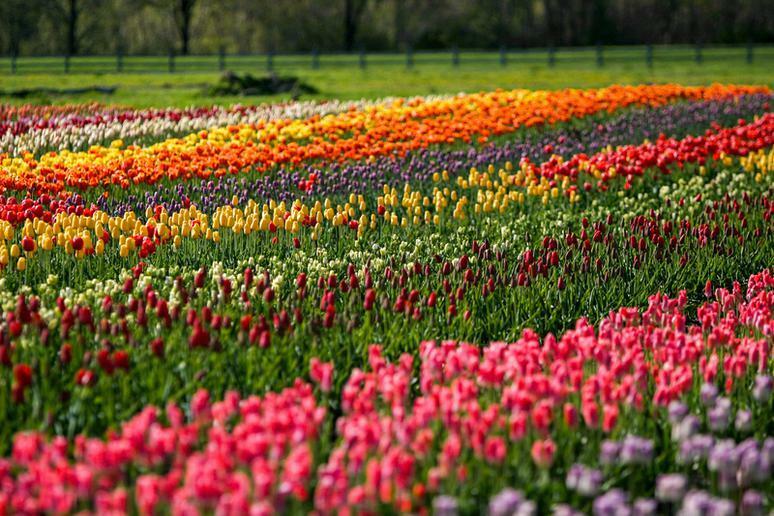 Nicknamed the "Garden of Europe," Keukenhof's more than 7 million tulip bulbs of 800 different varieties emerge every year and sprawl across 79 acres, creating a colorful sea of flowers. 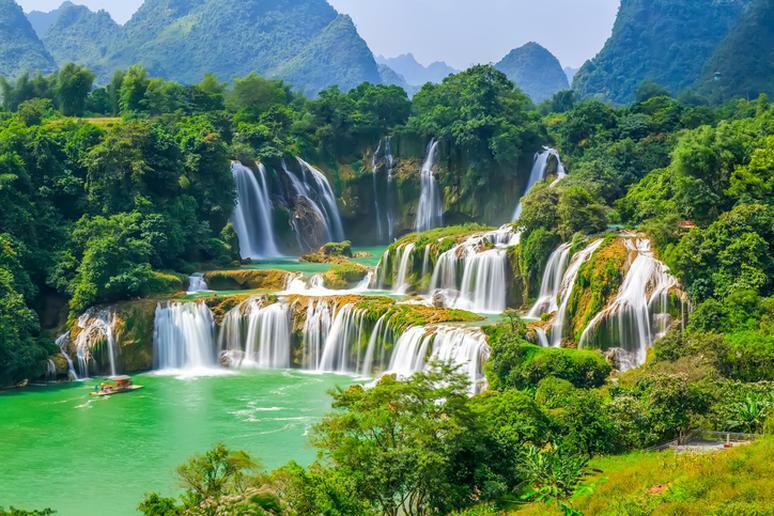 Ban Gioc-Detian Falls is the collective name of the two massive transnational waterfalls spanning the border between China and Vietnam. Some of the widest waterfalls in the world, the massive sheets of falling water traverse three rocky tiers, splitting into smaller streams before joining up again. The thundering falls are surrounded by lush greenery and can be accessed by foot or by boat. The remote Kolukkumalai Tea Estate in Munnar, India, is the world 's highest-elevation tea plantation. 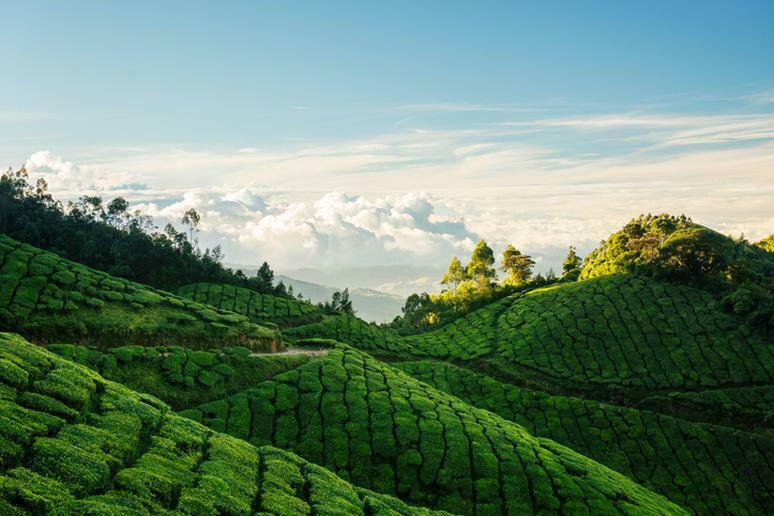 The two-hour drive to reach it takes you through lush, gorgeous land completely covered in tea plants with scenic views at the summit of the mist covered mountains. Learning about the estate's traditional tea making process and enjoying a cup on site are also part of the magical experience. 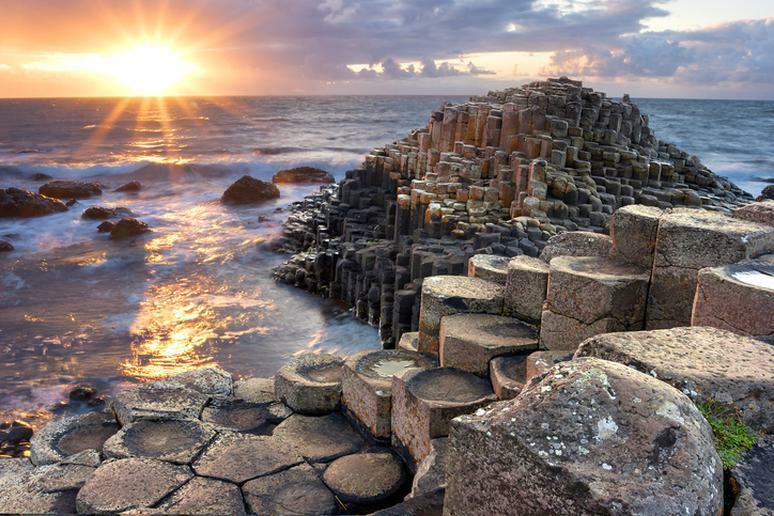 Giant’s Causeway is a natural wonder on the northern coast of Northern Ireland. It is made up of more than 40,000 interlocking basalt columns, which were created during a volcanic eruption. Some of them are almost 40 feet high. Their hexagonal shape makes them seem supernaturally constructed. 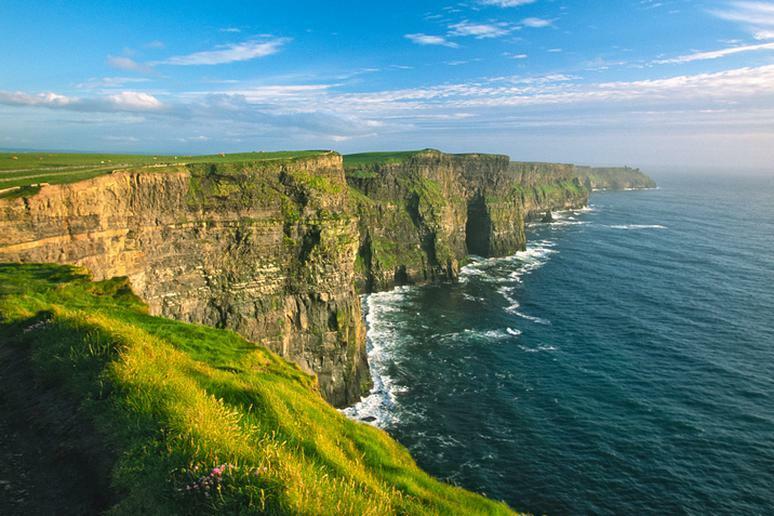 A UNESCO World Heritage Site, the causeway is named so after a legend that two giants in Ireland and Scotland constructed a road so they could meet after one challenged the other to a fight. 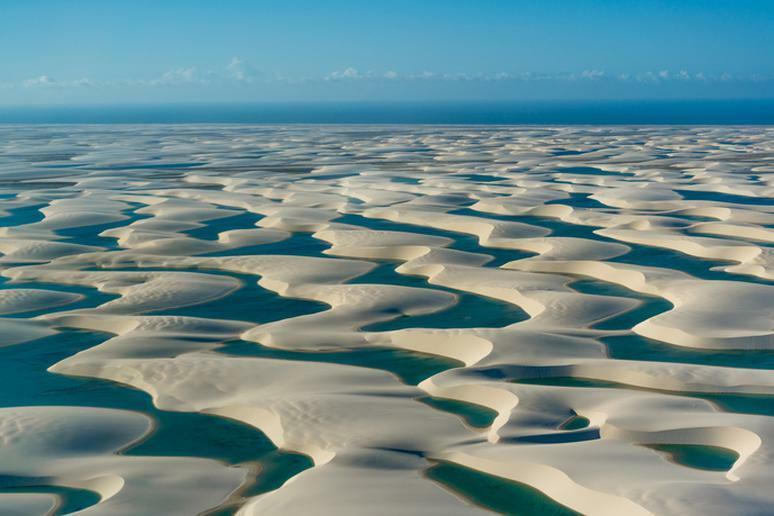 During the rainy season, the thousands of valleys between the white-sand dunes of Lencois Maranhenses National Park turn into blue lagoons filled with rainwater, creating a stunning sight. Some of the lagoons span over 300 feet long and stand 10 feet deep. Located in an Icelandic lava field, the Blue Lagoon is a man-made geothermal spa whose baby-blue water stays a toasty 102 degrees all year round and completely renews itself every 48 hours. 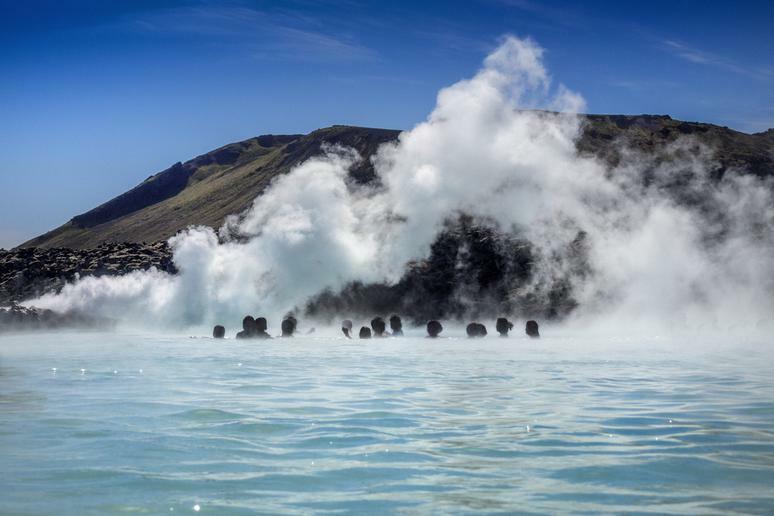 The spa's mineral-rich water is one of Iceland's most popular attractions, and makes for a great way to unwind after a day of trekking or climbing.